Hilary Klein spent six years in Chiapas, Mexico, working with women’s projects in Zapatista communities. 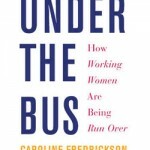 After she compiled a book of Zapatista women’s testimony to be circulated in their own villages, women in the Zapatista leadership suggested that Klein compile a similar book for an outside audience. Klein has been engaged in social justice and community organizing for twenty years. She currently works at Make the Road New York, a membership organization that builds the power of immigrant and working-class communities. 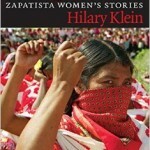 Her new book is called “Companeras — Zapatista Women’s Stories,” available from Seven Stories Press.